Leisa Papa majored in Communications and Sociology at university, and went on to work in sales and marketing for 15 years. She found her new calling once she became a mother, and now spends her time in sunny Brisbane, Australia, with her husband, son and daughter. 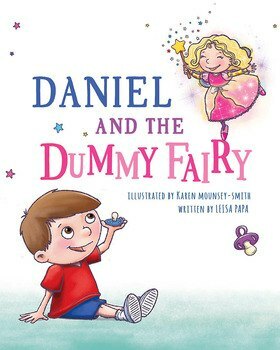 The character of Daisy came to life when Leisa’s son Daniel was two and half years old, and Leisa penned this story to remove the distress from the process of fading out the dummy, making it a fun adventure instead.